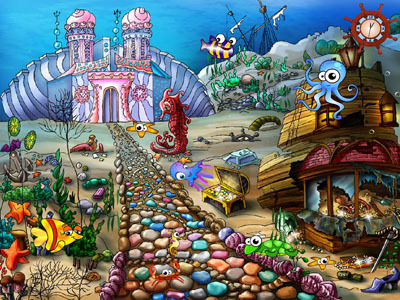 This screensaver will surely attract the attention of underwater kingdom lovers. It suits both for adults and children who love our funny and comic inhabitants. It includes three animated scenes, that change each other beautifully and smoothly. Analog clock, made in the form of a wheel, the underwater flora and fauna. You will also see funny fish, sharks, dolphins, turtles, starfish and seahorses, corals and jellyfish and even a submarine. A screensaver Valentine Hearts from a collection of new free screensavers from http://www.newfreescreensavers.com will create a festive mood in your heart. Download free screensavers. No spyware, no adware, virus-free. New screensaver comes here to let you fly. This time it is not gonna be that easy. If you want you can read very rare and exceptionally ancient symbols and signs. Just relax and let this miraculous effects get you there, it doesn`t matter where!